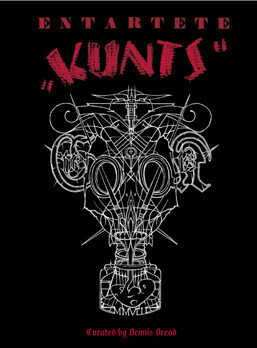 There’s another art book out that’s worth attention: Entartete Kunts is a book the publishers describe as celebrating a series of art exhibitions from Portland, Oregon, which were annual events for a few years, and featured international artists. The book “is a provocative retrospective and a cursory introduction to 50 years of metal and punk inspired art.” Sounds great! It’s limited to 400 hardcover and 600 paperback, so order from The Anja Offensive, why don’t you. This entry was posted in News and tagged book, Entartete Kunts, portland, punk by Editor. Bookmark the permalink.